The diplomacy coming out of Washington these days, the more so under Secretary of State Rice and President Bush, appears to follow the norm that laws are made to be disregarded, disrespected, ignored, manipulated or simply broken, which is patently obvious through the sheer hypocrisy of Washington’s position on the territorial integrity of Georgia. Let us then examine this question from a legal perspective, which is supposed to be definitive and binding in civilised countries, in states of law which follow due process, presupposing that the USA wishes to include itself in this group of nations. Beginning with Abkhazia and Georgia, Georgia was a signatory of the Constitution of the Union of Soviet Socialist Republics and was bound under this Constitution to respect all its clauses. One of these was the voluntary dissolution of the Union and the clause which states that minority groups (South Ossetia and Abkhazia) in other Republics (Georgia) had the statutory and constitutional right to a referendum to decide as to the degree of independence/autonomy/self-government that their people chose in a free and fair electoral process. Georgia, as so often, broke the law by not holding these referenda, so just this fact makes a valid case for these two republics to decide for themselves whether they are a part of Georgia or not. It is after all their right and Georgia was bound by it. To compound the issue, Moscow spend 17 long years negotiating peace with Georgia stressing at all times the need to forge a solution which satisfied Tskhinval (S. Ossetia), Sukhum (Abkhazia) and Tblissi. Georgia responded at best with manipulation, insults and insolence and at worst, on more than one occasion, with violence, as we saw in the slaughter of 2.000 Russian civilians in Tskhinval on August 7/8, a detail which the Bush/Rice/Cheney regime did not have the decency to refer to once and which the international media did its best to either ignore or worse still, manipulate the facts. So on that fateful night, Georgia itself by its actions blew out the candles lighting any path towards its territorial integrity. Saying to Ossetians and Abkhazes that they must live inside Georgia is paramount to telling Jews to voluntarily present themselves at the gates of a concentration camp in Nazi Europe and smilingly accept the precept that Arbeit macht frei. There are reactions to every action and those who perpetrate acts of butchery must live with and face up to the consequences. 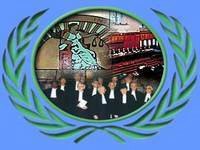 Here we introduce the second point of law, namely that Russia’s actions, giving the peoples of Abkhazia and South Ossetia the chance to realise their right to self-determination, was fully compliant and totally right under the UN Charter and in accordance with the norms of international law. So much for the case of the Caucasus. To start with Georgia began from an untenable position due to the illegality of its acts and Abkhazia and South Ossetia were always due the right to decide on their status as to statehood. The situation in Kosovo is completely different. Kosovo is integral part of the territory of the Republic of Serbia, whose military activities in this province were a reply to the acts of terrorism perpetrated by the Kosovo Liberation Army (Ushtria Clirimtare e Kosoves - Albanian), instigated and supported by the Albanian lobby in Washington. The argument that Kosovo is more Albanian than Serbian does not hold any legal ground whatsoever, since it was originally Serbian and Albanian women only went there to breed, and try to change the population balance. Does this then mean that in the USA, states where hispanics are more numerous than Anglo-Saxons should secede from the Union? Of course it does not. The question of Kosovo follows all the norms of international law regarding inviolability of frontiers whereas Abkazia and South Ossetia do not. They have the legal right to independence, Kosovo never has, does not and never will. Therefore the states which recognised Kosovo were acting outside international law and the decision has as much jurisprudence as some lunatic saying he is King of Saturn, handing out certificates of land tenure in return for a fee. Is this what international law has boiled down to during the Bush regime? And the sooner the West gives up its imperialistic pipe-dream of continuing to draw lines on maps and screw up entire regions of the world, the better. As if they didn’t do enough damage already. The bottom line is that in a civilised world, laws are made to be followed. It is totally unacceptable that modern, civilised states base their diplomacy on illegality, boorishness, cajoling and bullying without one iota of legal fabric in their arguments. It is absolutely essential that future generations read these lines and judge for themselves who was right and who was wrong at this fundamental moment in the determination of the future of Mankind. May I also add that at this moment in time, I am proud, very proud, to be writing for a Russian newspaper.